During his solo performances, Abraham Poincheval pushes back his physical and mental limits. For him, life in autarky, enclosure, immobility or the progressive loss of senses are all means to explore the world and human nature. 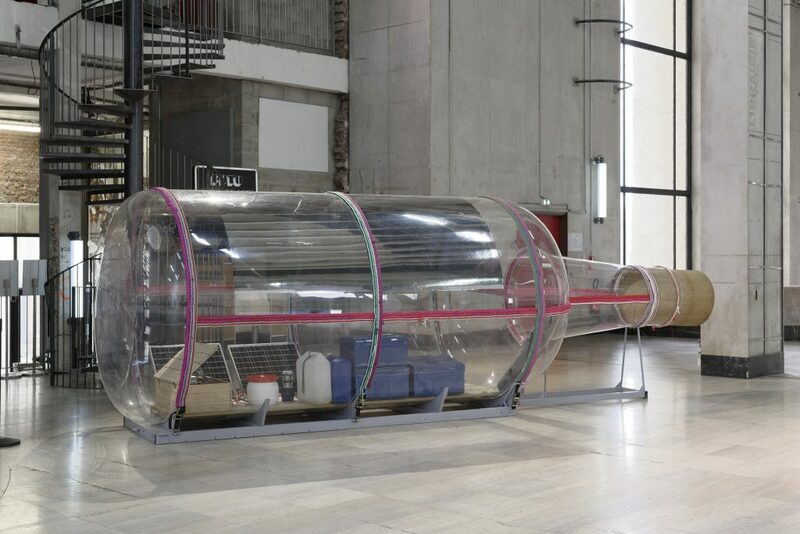 As with the giant bottle, inside which Abraham Poincheval is currently going up the river Rhône, inhabitable sculptures in which, or on which, he has lived for several days, will be scattered throughout the spaces of Palais de Tokyo. 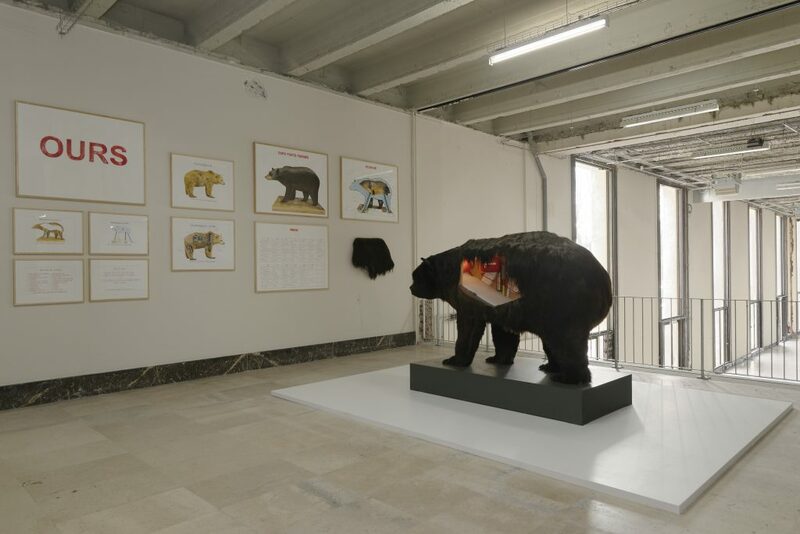 By testing out the artist’s body, they lead him to experience the temporalities of the animal and mineral worlds. 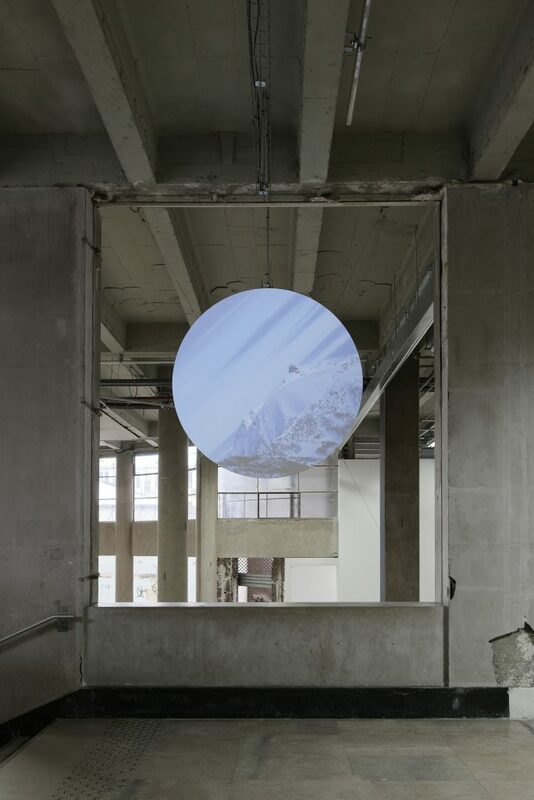 Abraham Poincheval is pursing his exploration of closed, confined spaces by living inside a rock installed in Palais de Tokyo for a week. 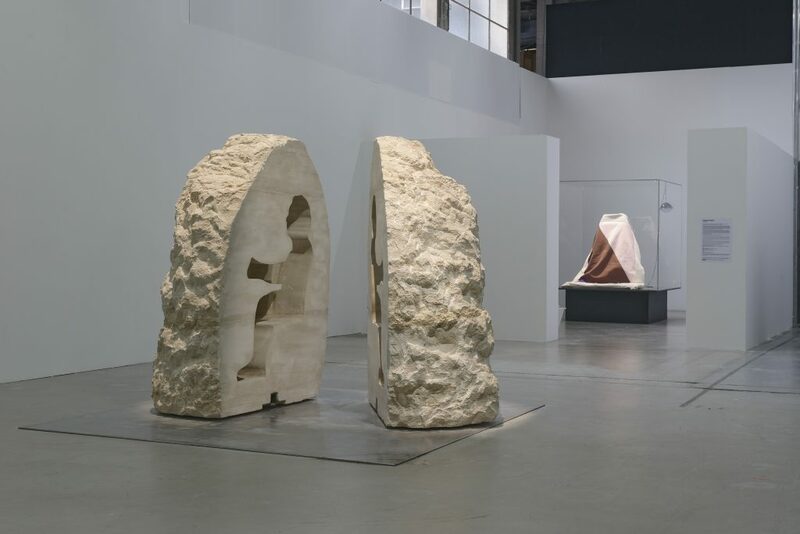 Surrounded by visitors and the art center’s activities, the artist vanishes inside the denseness of the stone, which encloses him like a protective envelope or an isolation cell. In the other performance, Abraham Poincheval measures himself up against the rhythm of life. While experiencing immobility, and the waiting during a gestation, he sits on hen’s eggs which hatches out thanks to the heat of his own body. 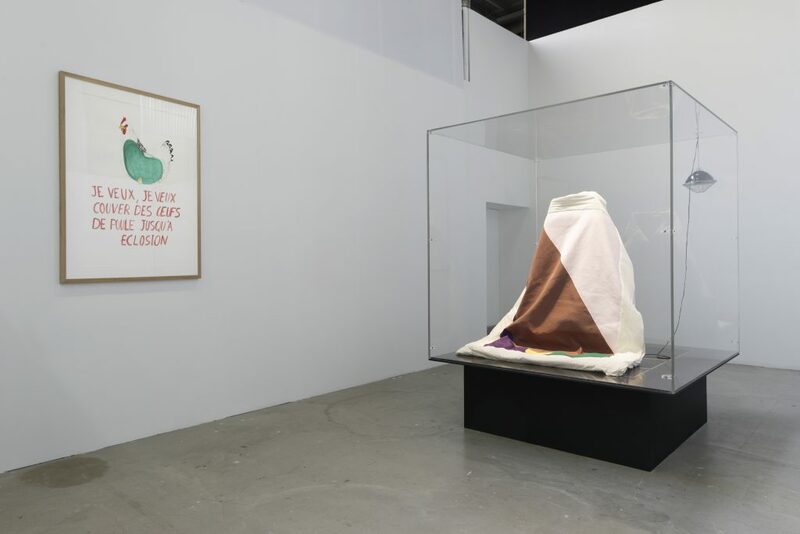 For his solo show at Palais de Tokyo, Abraham Poincheval is also presenting two new performances: Pierre and Œuf (‘‘Stone’’ and ‘‘Egg’’). “The impression we have that our speed is not linked to us, or our own viewpoint.” Pierre is an expedition into the heart of the mineral world. Abraham Poincheval attempts for the first time to live inside a rock for a week, thus taking his experimentation of enclosure and isolation to another level. 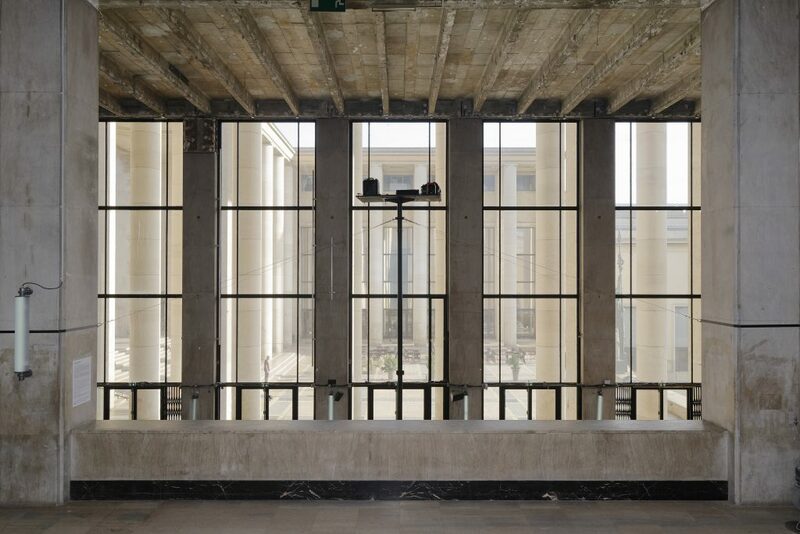 This large piece of limestone, exhibited in the middle of the Palais de Tokyo, has been sculpted to fit to Abraham Poincheval’s figure. 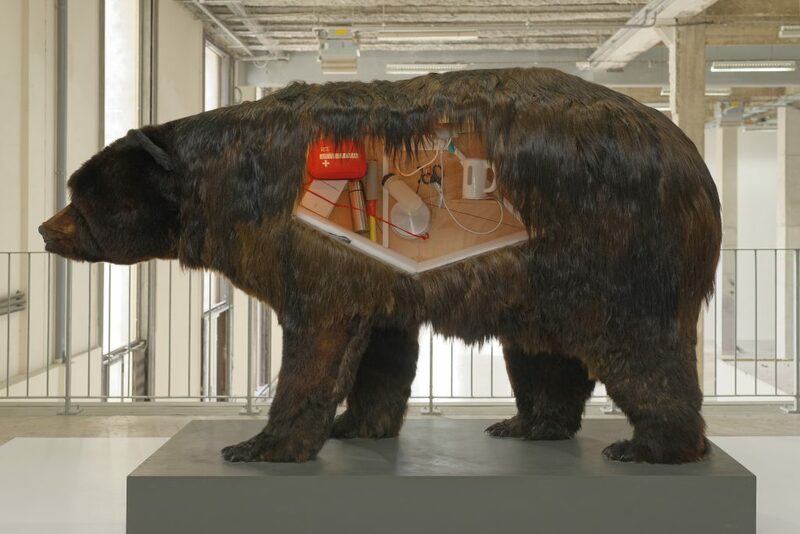 It is displayed open, before and after the performance, thus revealing the survival material it is equipped with. 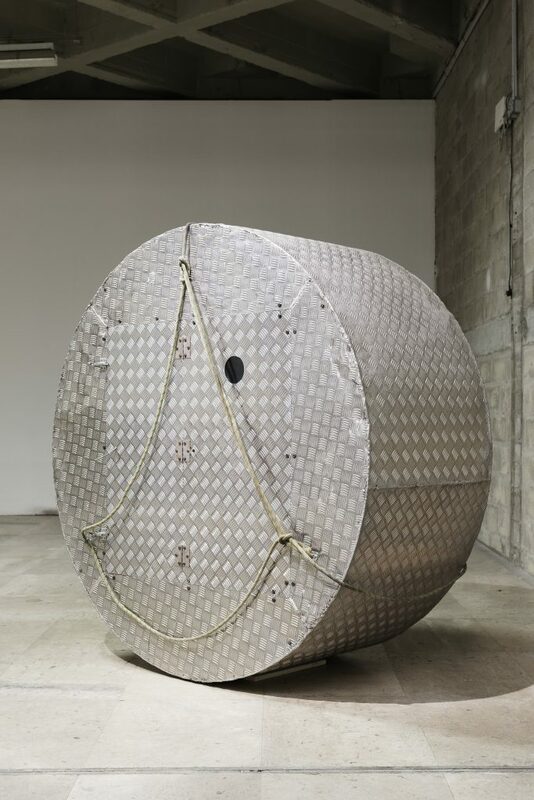 During the performance, it becomes at once a space capsule allowing the artist to undertake an inner journey, a protective casing, and an isolation cell. After his logistical, physical and mental preparation, the experience that the artist goes through is unforeseeable. But instead of wanting to achieve an exploit, Abraham Poincheval is trying to escape from human time and experience mineral speed. 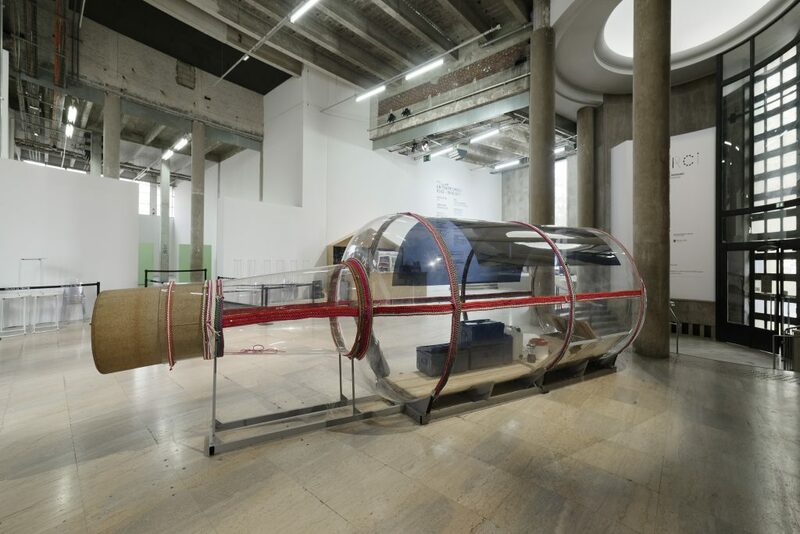 For the first time in his explorations, Abraham Poincheval is confronting the world of the living: within the exhibition spaces of the Palais de Tokyo, he will be sitting on hen’s eggs until they hatch out. By replacing an animal, he will experience a gestation time, varying between 21 and 26 days. Abraham Poincheval will be sitting or lying in an enclosed space, a vivarium which looks like a display case. He will be covered by a traditional Korean cloak, made by the artist Seulgi Lee and surrounded by provisions. Limited in his movements, the artist will seem inactive to the visitors. He will be like Toine, the antihero of the Guy de Maupassant short story of the same name (1885), immobilised by a heart attack and forced by his wife to hatch out eggs.